Rumors that British supermarket chain J Sainsbury plc is the target of a UK activist fund along with a number of foreign investors boosted shares in early trading in London. Declining sales and shrinking market share have led to a 33% fall in Sainsbury’s share price since the beginning of this year. At 8.01am in London on Monday, the company’s share price jumped 3.7% to 247.1 pence. 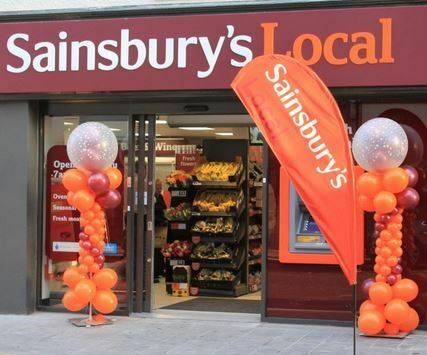 According to the Sunday Telegraph, Crystal Amber Fund Ltd. is said to be considering a sizable investment worth several tens of millions of pounds after a US investor approached it expressing interest in buying a stake in Sainsbury’s. So far, nobody at Sainsbury’s or Crystal Amber has confirmed this rumor. The Sunday Telegraph says Crystal Amber has written an extensive report on Sainsbury’s and what could be done to enhance shareholder value. The authors concluded that the best option might be a sale-and-leaseback program. The British newspaper claims Crystal Amber confirmed the existence of the report. Sainsbury’s saw its share price rise today, for the first time this year. The newspaper did not cite sources. As it is not in a position to make any major moves on its own, Crystal Amber is trying to persuade other activist investors to join it in a Sainsbury’s acquisition deal. An activist investor is a person or group that tries to increase the value of a portfolio by getting senior management to change their strategy. Sometimes, we refer to them as gadflies. Qatar Investment Authority (QIA) owns 25.999% of Sainsbury’s, the Sainsbury family has a 15% stake, Lord Sainsbury holds 4.99%, and Judith Portrait owns 3.92%. Since trying to acquire Sainsbury’s with a £10.6 billion bid in 2007 (and failing), QIA has often been linked to takeover rumors. QIA is currently trying to gain control of the Canary Wharf Group through Songbird Estates.